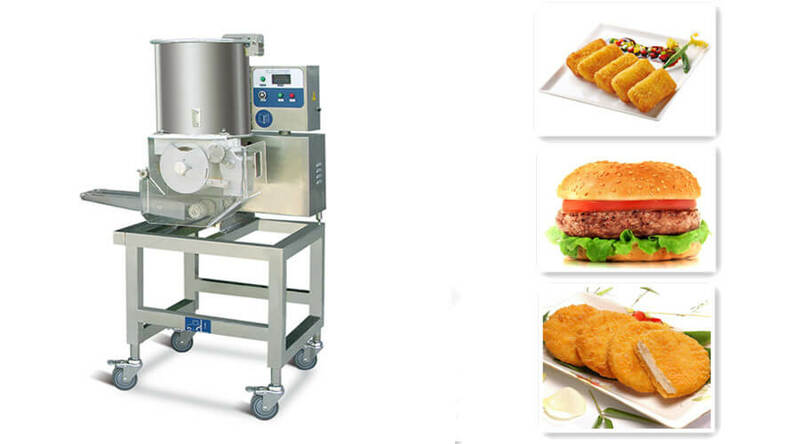 Patty maker machine is designed to make various hamburger patties. 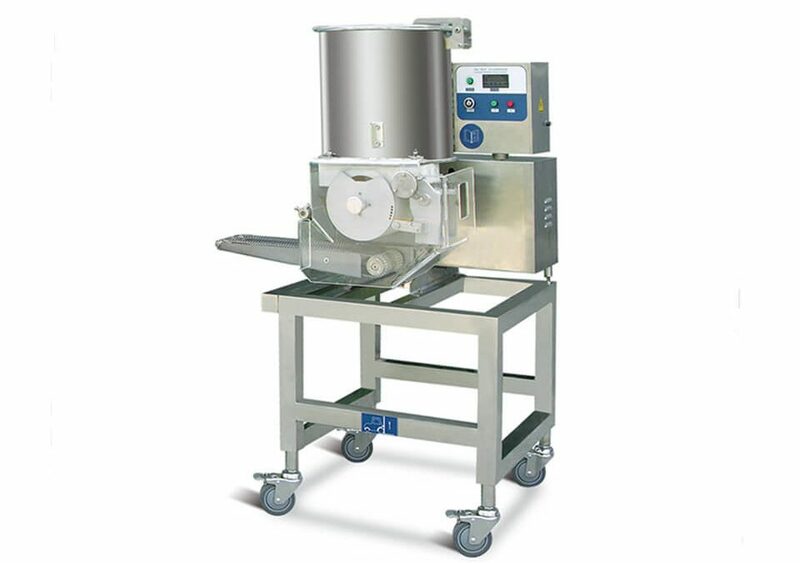 It can automatically complete filling, forming patties, sticker (optional), output and other processes of the fillings. 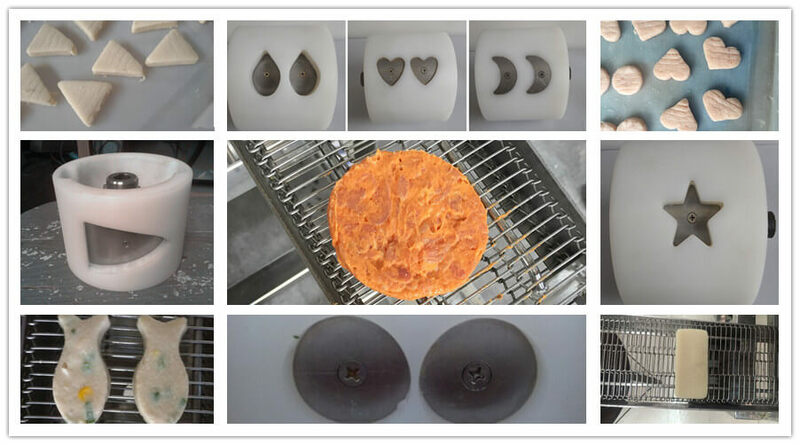 By changing different molds, the hamburger patty machine can produce different shapes products such as round, square, triangular, oval, heart-shaped and so on. Our patty forming machine is an ideal meat and vegetable molding machine for the fast-food restaurant, distribution center, and food factory. 1. 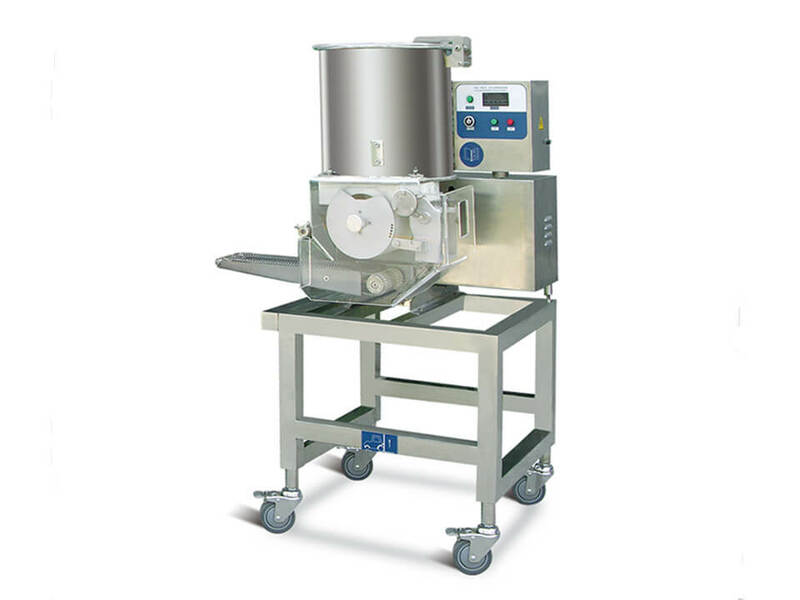 It is made of stainless steel, conform to the hygiene standards, in line with HACCP standard, easy to clean. 5. Patty forming machine can work with sizing machine, powder machine, bread crumbs machine, frying machine, cooking machine, frozen machine, packaging machine into a fully automatic production line. 4) Mixture: the mixture of meat and vegetable. 4) Mixture: vegetable and meat cake, oden. Meat processing plant, frozen food products factory, leisure food products factory, fast-food restaurant, food distribution center and other units. With the accelerated pace of life, more and more people will choose to eat the fast-food, so the fast-food become more and more popular around the world, as one of the main fast-food, the consumption proportion of hamburger is higher and higher. Low investment and high profit which makes many people choose the fast-food to start their business. Amisy patty forming machine as one of the ideal helpers for you to make various hamburger products, with high efficiency, low energy consumption, and high-quality product, it can bring you more profit. Simply get in touch and we will be able to advise you on perfect patty molding machine for your business.